Automate your trading and create your Passive Income. Gunbot can be used with Binance, Bittrex, Poloniex, Bitfinex, Cryptopia, Cex.io, Kucoin, GDAX, Bitmex & Kraken. 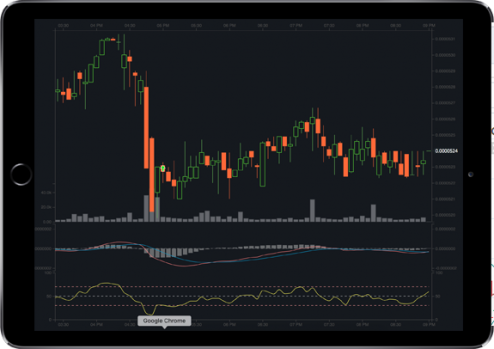 It uses a lot of individual strategies that are completely customisable to fit your trading style. Gunbot works on Bittrex, Binance, Poloniex, Bitfinex, Cex.io, GDAX, KuCoin, Kraken and Bitmex. Over 32 different trading strategies. Choose the best license for you. Gunbot can be run on your PC, Mac, Linux or on a VPS. Simply download, configure the bot with the API key from the exchange and start up your Money Machine. Fast and easy! Configure the bot as you want it. Setup your pairs (BTC-NEO), set the amount you want to trade and set the strategy. Ready! We help you if you have any question. Why should you choose Gunbot? 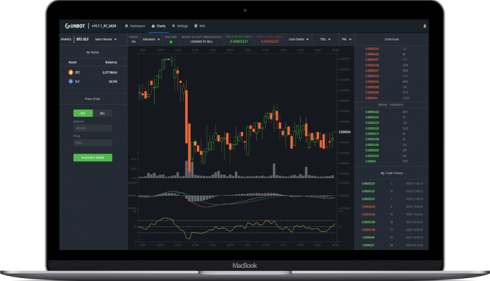 Gunbot is the best automated crypto trading bot for crypto trading. Gunbot works well with Binance, Poloniex, Bittrex, Kraken, Cex.io, GDAX, Bitfinex and Bitmex . Click the chat icon and talk with the team.